PIQUA — The city of Piqua Law Director and Prosecutor Stacy Wall gave the Piqua City Commission her farewell at the end of their meeting on Tuesday, as it was her final commission meeting in the role of law director after over 11 years. Wall is the judge-elect for the Miami County Common Pleas Court and will succeed Judge Christopher Gee, who is retiring at the end of this month. “I came to this job not knowing what to expect, as the job had just been created being one full-time position,” Wall said. “On the civil side, I’ve gone through countless charter changes and reviews, filed one of the city’s first nuisance cases and closed Paul’s Bar, got lost in how many times the railroads have merged to file … title actions, negotiated lots of union contracts, and completed many other projects,” she said. “On the criminal side, a reputation was established to not be known just to plea bargain every case, saw very serious charges and became engaged with the domestic violence task force and the heroin coalition to stay on top of our toughest issues. 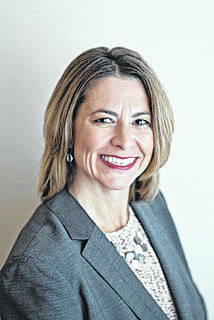 Wall went on to say that she became involved in the city since she took on her job, participating in the Piqua Rotary Club, United Way, the Dental Clinic, and more. During the commissioners’ comments, Commissioner John Martin said that he was sorry to see Wall go. The commission approved a project that will evaluate the city’s three Class 1 dams that are a part of the city’s surface water system that they maintain. The commission approved a resolution requesting authorization to enter into an agreement with Stantec Consulting Services Inc. for the completion of an evaluation and phase I of the master plan of the Piqua water supply lake system. The cost of the consulting services is $197,000, which will be split between the 2018 and 2019 budgets. This includes a 10 percent contingency. The commission also approved the purchase of chemicals for the Water Treatment Plant for next year. They will vote on a resolution authorizing purchase orders to Chemical Services Inc, Chemrite, Inc., Air Products and Chemicals,Inc., Sal Chemical, Univar USA Inc., Greer Lime Company, and the City of Dayton for the 2019 purchase of various water treatment chemicals. The total estimated expenditure is $331,180. Following that, the commission authorized the city manager to enter into a collective bargaining agreement with the American Federation of State, County and Municipal Workers, Inc. (AFSCME), Ohio Council 8, Local 984 (Clerical, which will give the clerical collar unit a 2 percent wage increase for 2019. Additionally, the commission held the second readings of a number of ordinances, including one that would give full-time, non-union employees a 2 percent salary increase. They also held the second reading of an ordinance in regard to their 2019 annual budget. The ordinance is to make appropriations for the city of Piqua in 2019, the total of which will be approximately $132,464,712, including transfers. They also held the second reading of an ordinance that would add hospitals as a principal permitted use within general business districts in the city’s code.